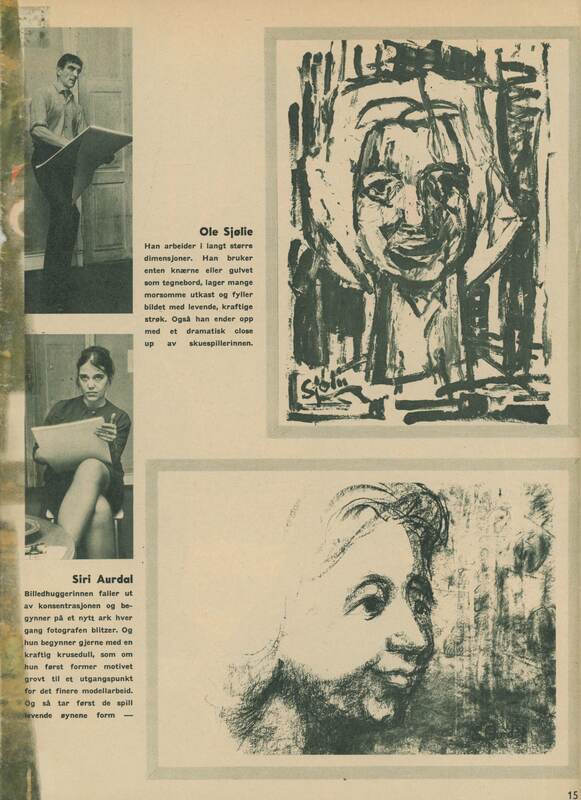 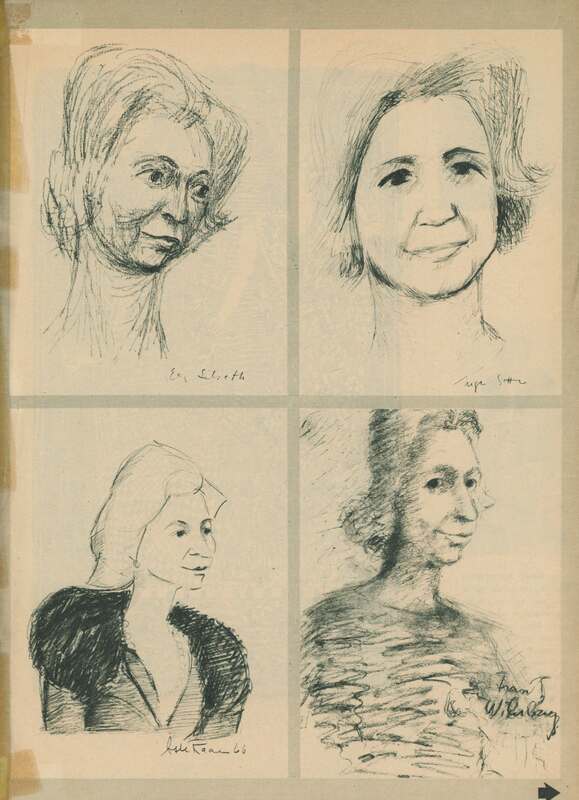 In 1966, UKS and the Norwegian weekly magazine Aktuell invited ten artists to a five-hour drawing session centered on the popular, Norwegian actress Wenche Foss (1917–2011), modeling live for the occasion. 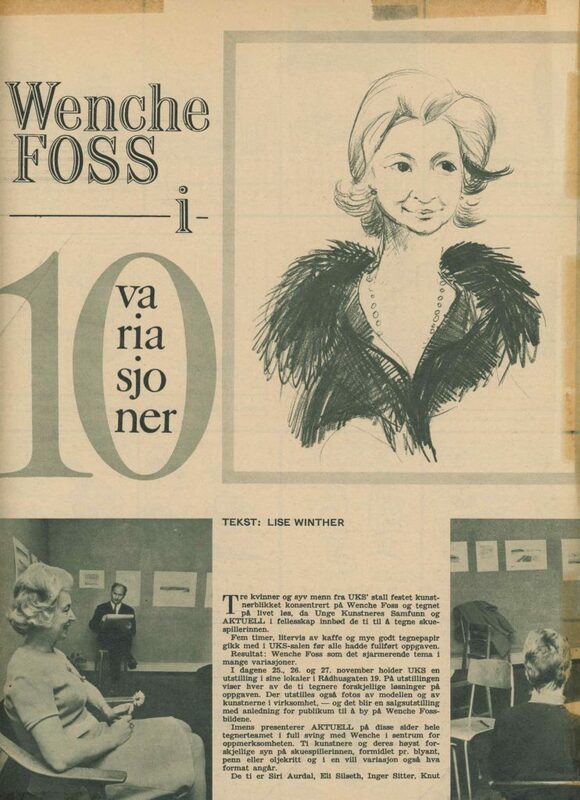 The session was followed by a sales presentation in Rådhusgate 19 where the audience could admire and acquire the editions portraying Ms. Foss. 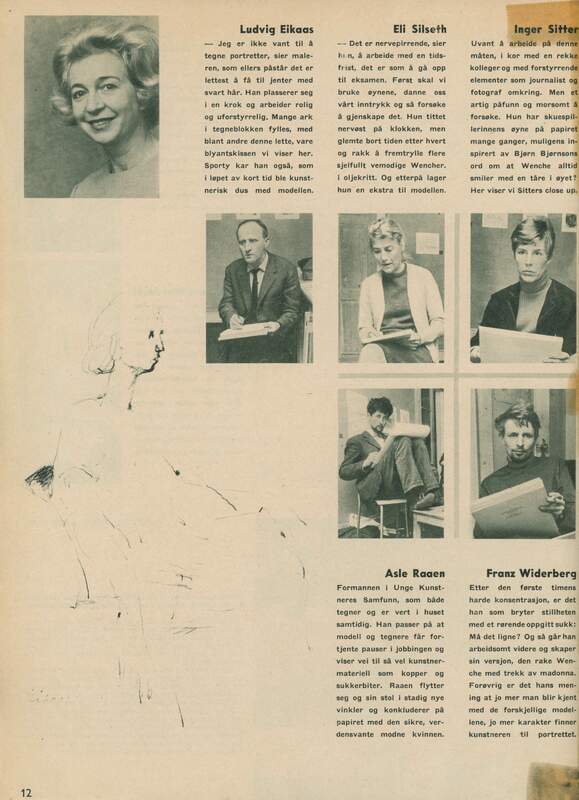 The ten participating artists were Siri Aurdal, Eli Silseth, Inger Sitter, Knut Jørgensen, Gunnar S. Gundersen, Franz Widerberg, Ole Sjølie, Ludvig Eikaas, Alse Raaen, and Ryszard Warsinski. 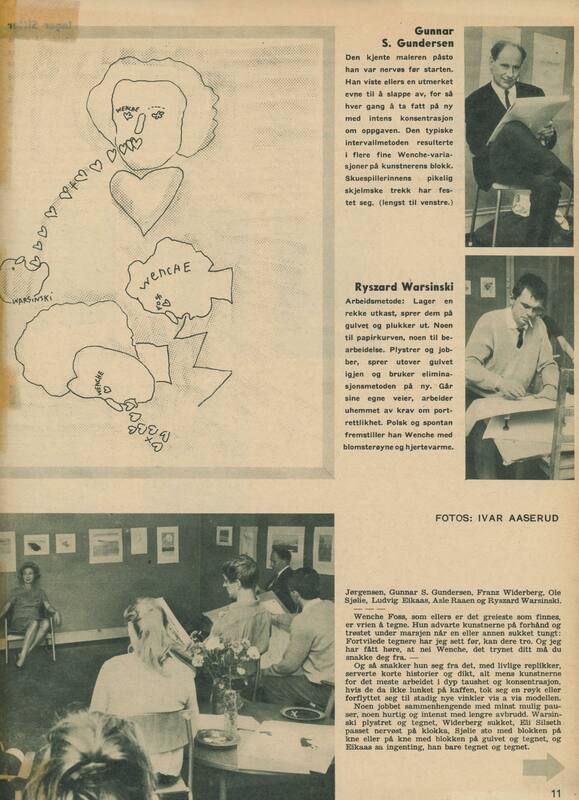 Image: Ivar Aaserud, Aktuell, 1966.